Along with Apple products hitting the market in a large scale, AirPlay becomes the most glaring one among all the mirroring technology programs. It is a protocol allowing video and audios to be wirelessly streamed between devices like iPod, iPhone SE/6s/6s Plus, iPad/iPad Pro, Mac and Apple TV. AirPlay unveils the new era to wirelessly share multimedia contents. Mac, as the transfer station for AirPlay application to a certain extent, has been discussed a lot about its built-in AirPlay function. Here another better way to use AirPlay on Mac is introduced in this tutorial. 5KPlayer provides users with a new yet free AirPlay software to use AirPlay on Mac with more functions and simpler operations. It can work as both AirPlay sender and receiver. There are two types of AirPlay devices, AirPlay sender and AirPlay receiver. Both functions are built in 5KPlayer and can be realized on Mac. As an AirPlay sender, 5KPlayer can automatically detect available receivers on your network and show off once you click AirPlay icon. OS X Mountain Lion or later operation systems based Mac is supportable for AirPlay. Media can be mirrored to the AirPlay receiver device within seconds via 5KPlayer. For example, a 90-minute HD video can be projected to Apple TV from Mac in around 10 seconds, so does Mac receiving projecting files from iPhone (SE/6s/6s Plus), iPod and iPad/iPad Pro/iPad Air. Apple lossless code is employed while streaming, and the media quality is guaranteed thereby. Instead of setting Airplay in display pane of System Preferences, 5KPlayer makes the progress much easier by directly setting on it. Besides these basic features, 5KPlayer is armed with password protection to leave the unwanted presenters out, remote control to manage playback progress and volume adjustment without touching the streaming device, always on top to keep your device on top of all other apps for your convenience, full screen mode to present video in full screen without distraction and audio only mode to mirror only audio files. These features together make AirPlay use on Mac more pleasant. In case questions are arisen on AirPlay, please refer to troubleshooting for AirPlay for solutions. How to Use AirPlay on Mac with 5KPlayer? Step 1: Download 5KPlayer on your Mac, you can drag 5KPlayer to app groups or wherever you want. Once installed, simply tap the AirPlay icon on the top right to activate the function (the icon will turn bright from dark after successfully activated). AirPlay use guide will appear once you click the AirPlay icon in the main interface. If 5KPlayer acts as a receiver on Mac, the process is done here. Note:Please be aware of that AirPlay Mirroring requires a Wi-Fi connection to the same local network. Step 2: Once the file begins playing, select the AirPlay menu from the toolbar at the top right or beside progress bar and select your streamed device. After a few moments, you should see the video appear on the device you're currently connected to. 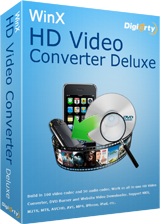 Note:Files formats supported by AirPlay are limited, and only MP4, M4V, MOV, MP3, M4A and AAC are accepted by AirPlay, if your file format is not one of them, you can get help from DVD video converter software for Mac OS and for Windows PC. 5KPlayer is an all-around AirPlay server on Mac (El Capitan/Yosemite/Mavericks). It can receive media from iOS devices as well as stream media to Apple TV and AirPlay enabled speakers. With 5KPlayer, the ultimate entertainment solution and unlimited content and possibilities to share is created. AirPlay for MacOS Sierra| How to AirPlay on MacOS SierraHow to use AirPlay on macOS Sierra? Guide of AirPlay for macOS Sierra is provided here for you to AirPlay macOS Sierra to Apple TV and AirPlay iPhone/iPad/iPod to macOS Sierra as well. How to Get AirPlay on Mac to Sream Video Music?How to get AirPlay on Mac? Here a detailed guide about Mac AirPlay will help you AirPlay from Mac (iMac, MacBook Air, Mac Mini & MacBook Pro) to stream videos movies music freely. How to AirPlay AVI, MKV, WMV, FLV, DivX, MP4, MOV Videos Learn how to AirPlay videos in formats like AVI, MKV, DivX, MOV, FLV etc from computer to Apple TV.